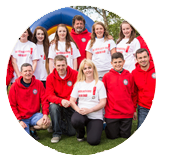 The East Kilbride Community Trust (EKCT) was the brain child of local philanthropist James Kean and came into fruition in April 2009. This local Trust recognises that available resources within the community and the environments in which we live and work impact on our health. Resources such as quality jobs, family income, educational attainment and the social characteristics of the neighbourhoods in which we live can all affect our well being. These are all issues that form the basis of consideration and planning for any potential development project that EKCT take forward. EKCT fully understands that employment influences health. Not only through direct income but also through provision of pension plans, benefits, incentives and other pathways to financial security. It is with this in mind that the Trust seeks to put forward development plans that not only have direct health, social and community benefits but that will also provide employment opportunities for the local community. 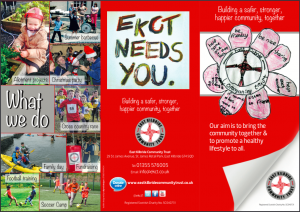 EKCT has engaged with the community since its inception and has worked closely with other private, public and charitable partners to ensure the community is fully involved and to achieve the desired results and change needed within our community. 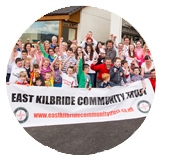 EKCT looks to provide the people of East Kilbride with recreational and woodland facilities promoting community development and improving social inclusion by encouraging participation and provision of facilities that will attract members of the community. Encouraging, socialising, educational activities, information gain and healthy activities, which in turn, will strengthen social ties, enhance community development and integration. Our aim is to bring the community together and to promote a healthy lifestyle to all. Building a safer, stronger, happier, community, together.